By now, most of us have heard that the pore-clogging aluminum in antiperspirants can cause a variety of health issues, from breast cancer to Alzheimer’s. And many of us have tried switching to natural deodorants as a healthier alternative. However, natural deodorants simply don’t seem to work for some people. It turns out, luckily, that there’s a weaning-off process from traditional products that can help make the natural ones much more effective against body odor. Perspiration is one of the body’s primary ways to rid itself of accumulated toxins, and armpits serve as drainage systems for the lymphatic system. 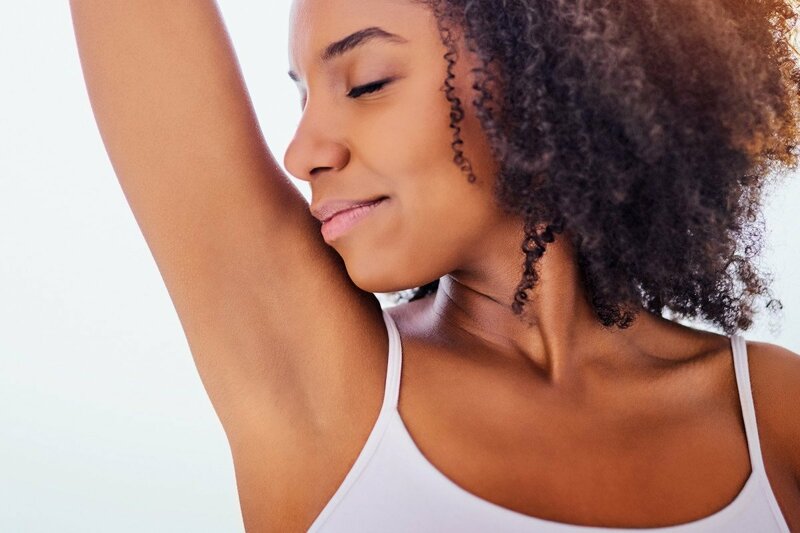 Antiperspirants block up the sweat glands, so after you’ve made the switch from conventional deodorants, your armpits need some time to start sweating again. Here are some steps you can take to make this transition a little less smelly. – Use an underarm mask. Yes, these are real, and people swear by them! There are plenty of options out there (or you can make your own), but most of them use clay to help draw chemicals out of pores. – Harness the power of lemon. The citrus fruit can neutralize the bacteria in your armpits, making any odor less pungent. – Be sure to dry yourself thoroughly. After showering, dry your underarms completely before applying whichever deodorant you’ve switched to. – Wear natural fibers. Clothing made from synthetic fabrics like polyester tend to encourage bacterial growth, so stick to natural cloths such as cotton. – Keep in mind that everyone is different. We all have different body chemistries, so what works best for your friend might not be the solution to your deodorant needs. Be patient and willing to experiment, and hopefully, you’ll be saying “goodbye” to aluminum antiperspirants for good soon.